Discussion in 'Price Drops, Must-Have Freebies, and Deals' started by Nock, Sep 8, 2015. Hire a rock star and become popular! 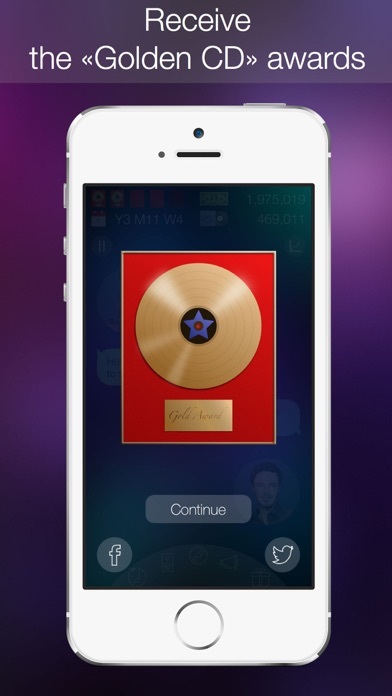 Record albums, receive gold awards, and get to the top charts. What is awaiting your protagonist? 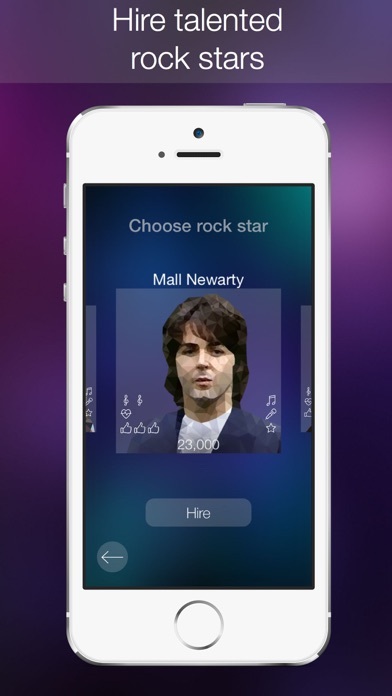 Become a music manager of a rock star and get unprecedentedly popular. But don’t think that it is too easy. Not everyone is strong enough to achieve success. If you want to go till the end and receive a title of the best music manager of the planet, you need to think over your strategy thoroughly! Put all your effort to achieve recognition and success. Want to be the best? Then work hard to record blasting mega hits for your protégé. And while you record new tracks, the media is on alert, publishing breaking news about you. What will be discussed next? Scandal or success, or maybe just quite workaday life? You will find it out pretty soon. Prove everyone that you and your protégé are cool rock stars! What are the tasks to be performed? There is an exciting and positive 5 year long way to the stars and wealth ahead of you. During this time your protégé should record 5 disks and receive the “Golden CD” for every one of them. Within all the game a personal assistant will help you to reach the top of the most popular charts. Solve tricky problems, be smart and achieve your goals. Communicate with other characters using SMS-like dialogues. Get to know them better, upgrade their skills and keep on wondering how unpredictable their behavior can be. MAIN FEATURES OF THE GAME: • Hire talented rock stars • Fight to get to the top of the charts • Create crazy rock hits • Explore all the unique behavioral traits and game strategies of every musician • Enhance your protégé’s skills • Get the latest updates on the achievement of the rock musician, following the characters’ chats CONTEMPORARY GRAPHICS! Getting absorbed in the game you find yourself in a bright and eventful world of music. Graphic design of the game is performed using blur and low-poly techniques. As a result the image is dynamic and has a deep meaning within the game scenario. There is not any superfluous element in it. ORIGINAL GAME INTERFACE! Interface animation is pleasing, you can change the theme color. 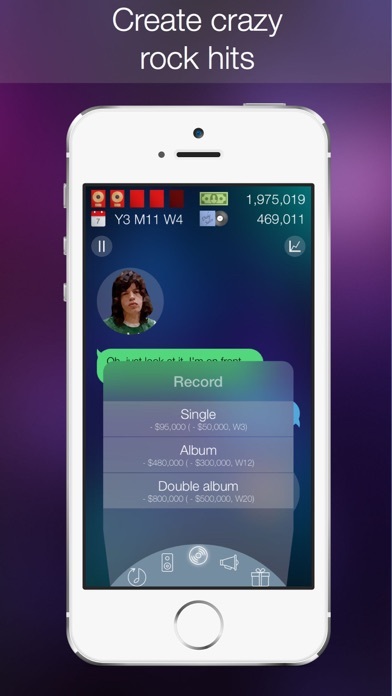 The interface style can be customized. A UNIQUE GAMEPLAY! The gameplay as an SMS-like chat. An artificial intelligence is here to generate the in-game dialogues. Hundreds of dialogues available which helps to manage different characters with various skills and behavior. Each lifestory is different. The game has a high replayability. Play it over and over again and never be tired! PLEASANT MUSIC BACKGROUND! The music background is made by a professional sound designer. It perfectly creates the game mood by placing the player in a virtual show business. Still, you may put on your own music. Rock Star Manager is a way to have fun. Forget your everyday fuss and get successful in a virtual show business world. What the player gets: • Nice and easy game menu • Comprehensible guide and tips • Informal text comments: you don’t need to know any specific terms No in-game purchases and ads. Immerse yourself in the captivating world of music. Nothing will prevent you from creating your own music history. Ready to rush in to get popular? Go and reach for the stars! Prove your leadership and organizational skills. Download Rock Star Manager and start your way to the triumph right away! Exclusively for App Store!